It is sad to think our time in Bavaria is nearly at an end. We have tried to make the most of our last week here, while still enjoying the ability to relax and be part of our lovely local community. 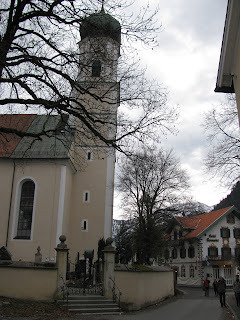 Yesterday, we drove via Hopfen am See and other scenic Bavarian towns to Oberammergau. Oberammergau is probably most famous for its Passion Plays. 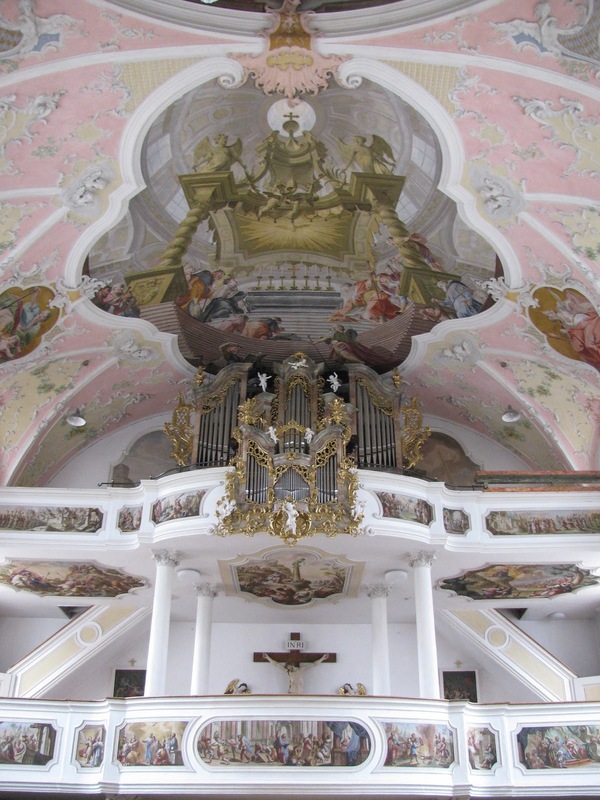 These have been performed by over 2,000 of Oberammergau's townsfolk every ten years since the 17th century, as a gift to thank God for saving them from the Beubonic Plague. It is also famous for its intricate wood carvings. 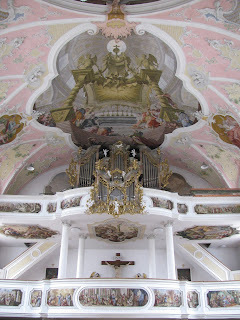 Most of the buildings are painted with decorative pictures and its Church of Sts Peter and Paul is simply stunning inside. 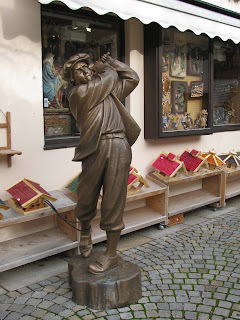 We enjoyed browsing the shops and town, before savouring a late morning tea of German cheesecake and other sweet treats. 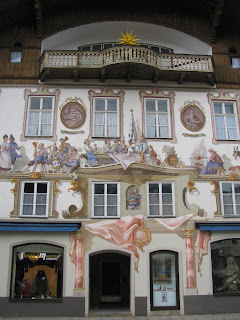 We then drove back home via the pretty ski towns of Garmisch and Lermoos. Today, Brett took the children taboganning at Tegelbergbahn in the morning, before he and I returned for another tour of Neuschwanstein Castle in the afternoon. With the snow now sadly depleted, the castle didn't look quite as resplendent as the other day when it towered over a winter wonderland. However, we were keen to view it from Marien Bridge, which was closed on our last visit. The view from Marien Bridge, a teetering iron structure strung between two cliffs, was beautiful. 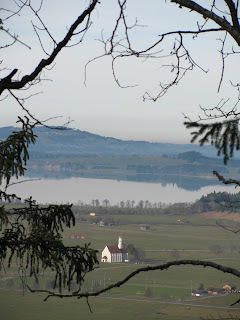 Nevertheless, it was a bit nerve-wracking and so after a few quick shots, we were on our way back down the mountain.